The Lada Owners Club UK. F.A.B.! Now look at this. 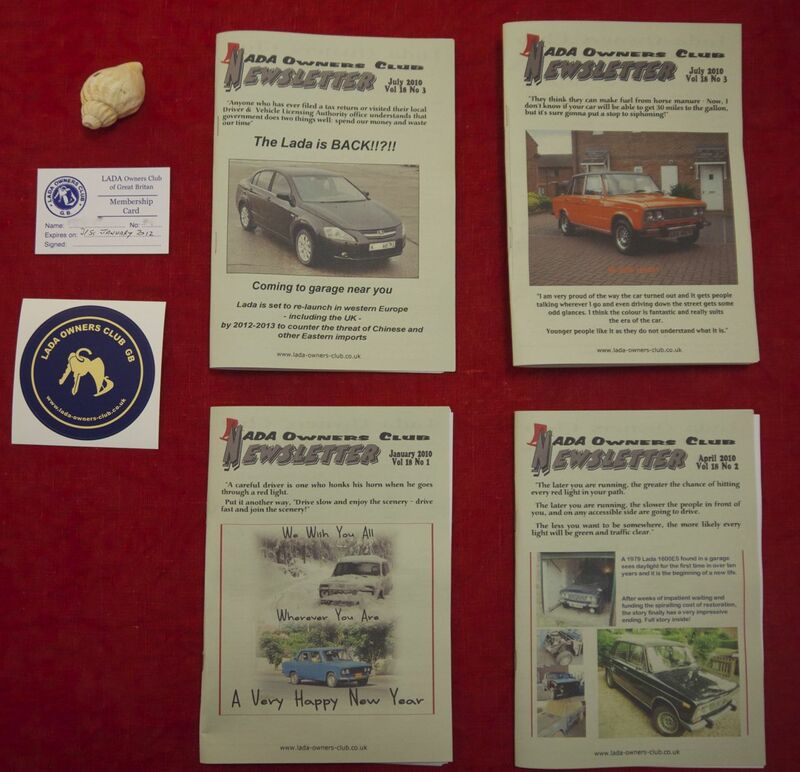 Where else do you get four spiffing magazines, a sticker for your car, a membership card AND the added bonus of being able to access the hive mind of dozens and dozens of fellow Lada drivers. Go, join the club. Even if you don’t drive a Lada. It will do you good. BTW, you wouldn’t have a carburator for an 1.5 Riva handy? Nice, I have always wanted a Lada since my Aunty has 2 when I was younger. I will have one. I drive a mk2 Golf at the moment. Glad to see there are other people out there that still love them! you can have one for less than 500 quid. just look on ebay.